Christoff was raised in Cape Town, South Africa but has spent a lot of his adult life travelling and working around the world, in locations such as the USA and UK. He has now chosen to settle in Tauranga and we are glad to have him as one of our Geeks! Christoff is a keen outdoorsman, enjoying everything from golfing to camping. He is also an animal lover (especially dogs) and has previously worked as an Animal Welfare Inspector for the SPCA. Like most computer geeks, he is an avid PC gamer, enjoying such titles as SQUAD and Battlefront. 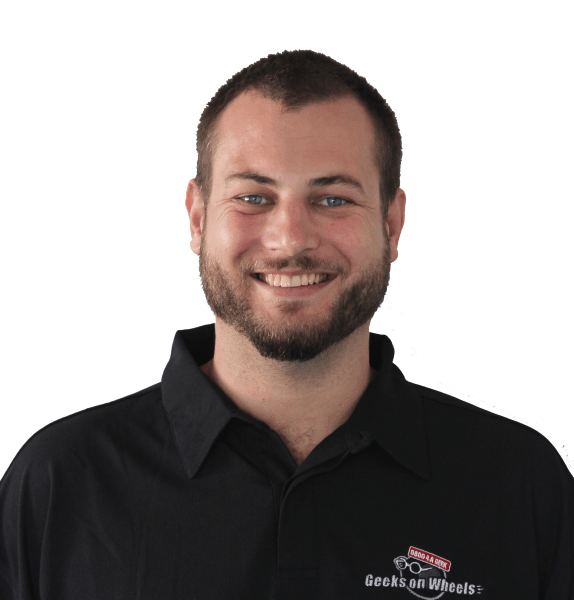 Christoff’s background is in technology sales and his strengths are general troubleshooting and networking. Additionally he has a strong interest in computer security.